The method of Hair fixing in Headz is very simple and gentle. Headz uses American Technology for hair fixing services. Natural hair is weaved meticulously on to the polymer based non-natural scalp. This is called as Hair System or Hair Patch or Hair Toupee which is fixed to the bald portion of the head using the following techniques. Hair Weaving: We will make a knot weft in the existing hair strands of the customer. The hair patch will be then weft meticulously to that knots. Hair Clipping: Hair extension locks(clips) will be fixed under the hair patch and will be interlocked with the existing hairs of the customer. Hair Extensions: We offer permanent (micro ring hair extensions) and temporary (Removable daily wear hair extensions). Baldness is a widespread dilemma in this modern era. We know the importance of hair in grooming a person’s personality. Due to hereditary, climate, diseases,way of living, stress and strain, hair fall is very common these days and there are no effective medicines to prevent this. Headz Hair Fixing is a real solution for those people who are suffering from such hair loss problems. After hair fixing in Bangalore, customers can swim, travel in open vehicle and do any type of work. 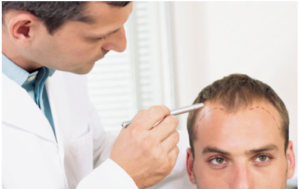 Surgery is not required as hair fixing is free from allergic complaints and does not involve hair transplantation. People from 15 to 80 years of age are approaching Headz for hair fixing services. People are interested in hair fixing because it does not affect their daily routine. Customer has spend only one hour for the whole process. Plenty of air passage holes like human skin pores provide abundant air circulation that prevent heat. Headz also offers hair extensions for women of all lengths, colors and styles. Pricing depends on the extent of the hair loss and bald head area. Also it depend on the hair system you choose, whether it is Natural or Synthetic or Machine made Hair. Call us @ 9886611110 to know more. Our hair fixing services are presently available in 16 cities in India and Malaysia.